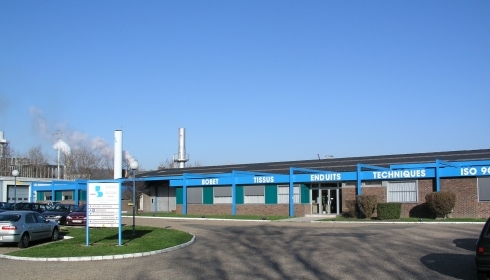 Bobet Company was founded in 1937: we're specialists in design, development and manufacturing of elastomeric rubber coated fabrics by spreading, knife-based and solvent-based process. Bobet is among the top coaters in world market as a true specialist of spreading and dipping/impregnation of rubber over textiles for almost any kind of application and sector. The headquarters and the factory are located in Le Grand Quevilly, France (nearby Rouen, 76, Normandy): 2 hours' drive from Paris and 1 hr drive from Le Havre Port, 3 hrs drive from UK by Eurotunnel and 3 hrs drive from Brussels. Bobet is ISO 9001 : 2008 certified and its Management system is based on Total Quality principles, in order to win and secure trust and reliability among our customers with constant focus on customers' needs and requirements, partnerships and co-design. The experience and core competencies of our Technical and Sales teams enable Bobet to offer the shortest lead times for a wide range of high performance rubberized fabrics with a thickness range between 0,17 and 1,2 mm. Bobet international expansion is reflected in more than 50% of its sales abroad : we export worldwide our rubber coated fabrics. The R&D Lab offers highly technical innovative solutions to any industrial sector: we have our own know how and intellectual property solutions. Respect for human beings, human rights, laws for our planet and its environment are constantly top priorities of Bobet.